This post is sponsored by VTech. The VTech product, information, and additional gift pack have been provided by VTech. All opinions are mine! Summer is here! School is out! What are parents and kids to do? From experience parents need to be on top of their kids’ education during the summer months in order to minimize the Summer Brain Drain affect. What is Summer Brain Drain? Summer Brain Drain occurs when students are away from the structured learning environment of a classroom and lose the months of knowledge they gained during the school year because they are not regularly exercising their brains. As a teacher, I see the negative affect that summer break can bring if children are not reading or problem solving at home. The good news is that there are remarkable products on the market that get kids excited about learning. Most of time, they don’t even realize that they are exercising their brains! 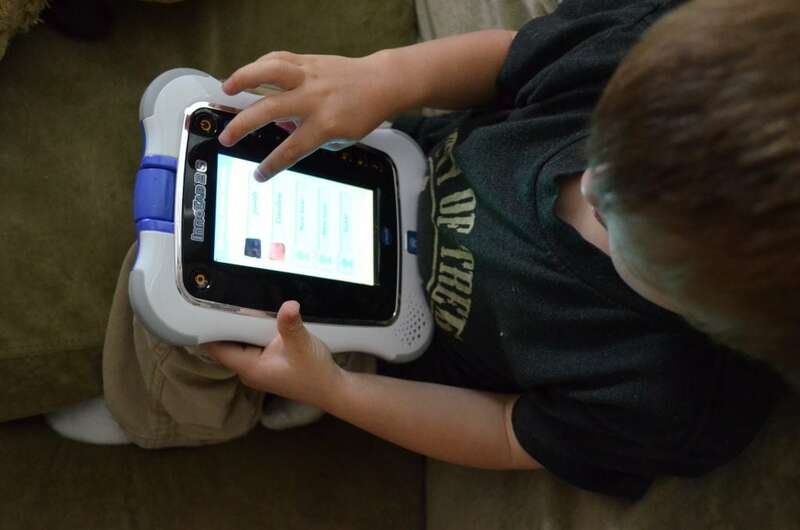 The VTech InnoTab 2S is a fantastic product that we have been using at my house to help keep Jonah’s brain learning and experiencing new things during the summer. I have been loving it because Jonah has forgotten all about my iPad and my iPhone and has been enjoying playing on his own tablet. If you are familiar with the original VTech InnoTab, this newer version adds a rotating camera that allows the device to be personalized for each of our children as well as a camcorder that my child can use to record his own videos! The VTech InnoTab 2S comes with 17 built in apps so that the learning can start right out of the box. My son’s favorite has been the Art Studio! We were also sent a couple of game cartridges with some of our favorite friends from Toy Story. My son has been playing with Buzz and Woody since we took it out of the package. 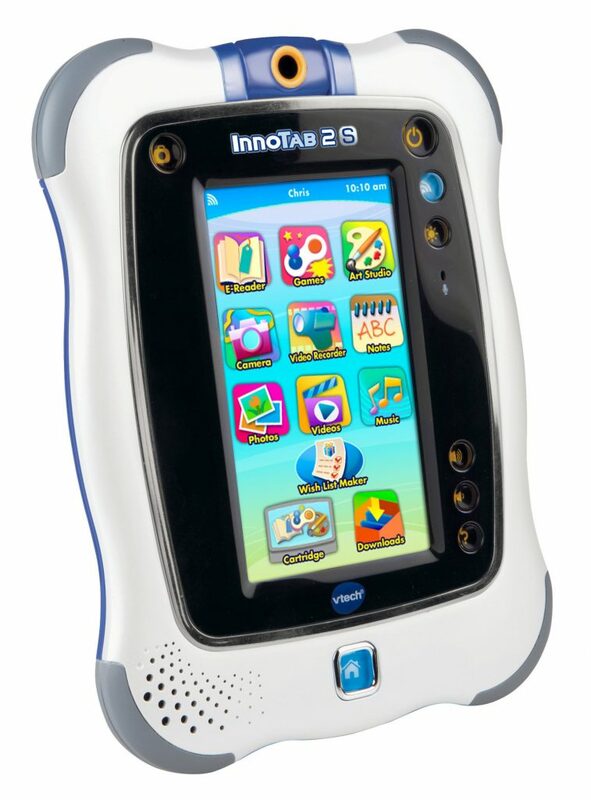 Additional apps such as games, e-books and music can be easily uploaded to the InnoTab 2 through VTech’s Learning Lodge Navigator. Yes, I said music. This tablet is just like mommy and daddy’s tablet! The Learning Lodge features more than 350 educational games, e-books, music and videos developed specifically for each child’s unique stage of development, as well as with their age and interests. The broad library of subjects includes reading, math, social studies, science, creativity, problem solving and so much more! Starting with activities suitable for toddlers and expanding to grade schoolers, the Learning Lodge gives every child an opportunity to expand their learning potential while keeping them entertained. Featured throughout the downloads and software cartridges are popular characters such as Mike the Knight™, Angelina Ballerina®, Team Umizoomi™, Dora the Explorer™, Thomas & Friends®, Teenage Mutant Ninja Turtles®, Jake & the Neverland Pirates, Sesame Street and more. New titles coming out on the Learning Lodge beginning in June include: Monsters University®, Turbo®, Planes®, and more. Parents can track their child’s progress through the Learning Lodge™ Progress Log, offer encouragement and share in their pride when kids reach new learning milestones. 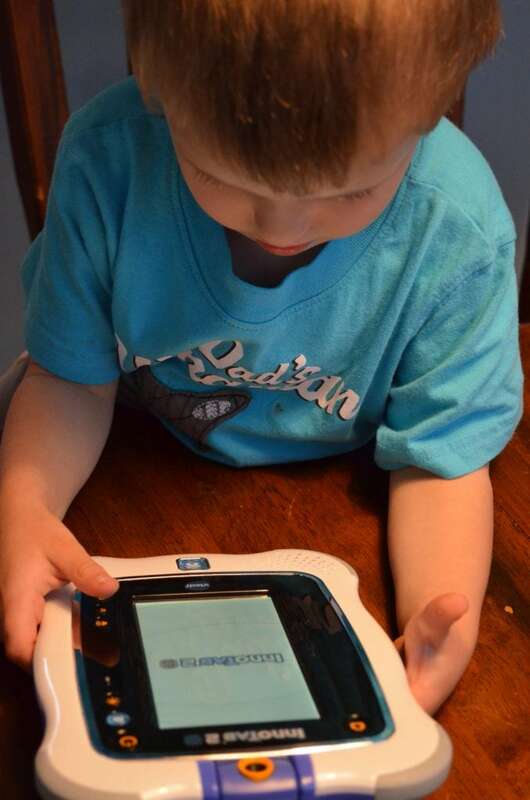 We will be going to Idaho for a few weeks soon, the VTech InnoTab will be the perfect device for traveling on a plane. I don’t need to worry about it breaking because of its durability, and I will now have access to my own iPad on the plane. I feel great allowing my son to play with this tablet during the summer because it cultivates his creativity as well as excites him to read! I can’t wait to bring this to school in the fall to motivate my struggling learners. It will be perfect in a center or as a choice time activity. I will just have to remember to bring it home or my son won’t be too happy with me. One lucky reader will win a VTech InnoTab 2S of their very own to help their kids combat Summer Brain Drain! We beat summer brain by taking family trips and learning new things so that the learning exspirence keeps happening. We Like To Explore Nature And Enjoy Local Parks And Festivals, Also We Take Weekly Trips To The Library! We go to the library several times a week and my boys participate in the summer reading program. We take lots of road trips and the kids help with the planning. We go to our local parks and national parks nearby and go on nature walks to learn about the outdoors! We are participating in the summer reading program. We have Mommy;s summer school. Lots of reading and workbooks. I take my kids to the library when they have special programs. We get outside a lot in the summer, swimming, going to the park and the zoo! If we are inside we play board games, playdoh and crafts! We love to go to the library each week and pick out new books to read! We play games as a family, head to the park, make playdates with friends, go swimming, play computer games, etc. My kids love being outside, so we spend a lot of time outside during the summer! We read at home and stay active in things like VBS, summer sports, etc. We doing the summer reading program at the library! Going to the library and checking out books to read all summer. We read everyday and keep workbooks for the children to do during the summer. I’ve created my own reading program, where the kids earn reading rewards. They earn $0.10 per book read, $0.15 per chapter book and $0.25 per book report done. They can then cash in their book readings to get new or new used books. lots of trips to the library! a summer project–any topic the kids choose. and a summer reading chart! thanks for the chance! We go swimming and jump on the trampoline! We turn on the Wii and do Just Dance – fun! We go to the library a couple times a week and also have workbook time everyday! Have your child read, write in a journal, and practice math facts. We read daily, write letters to family and friends, and attend library events. We keep up on reading. My daughter isn’t old enough for school just yet, still have another year. However, I like to keep her learning daily so we visit websites that are educational. We read lots of books and weekly trips to the library. We combat brain drain by playing educational games, reading and having a daily learning hour. We go to the library every two weeks to get new books. We read, go to the library, watch education movies, take nature walks, and this summer have plans to go to some museums. we do many outdoor activities and when inside we try the play board games. Lots of reading, educational games, physical activities, etc. Get them away from the TV, bring them on trips to the library, find summer day camps to bring them to. We go on many outings – mall, park, library, friends houses, pool, etc. Trips to our Portland science museum (Omsi) and the library prevent brain drain. lots of summer Outdoor Activities!!!! Flashcards, educational books and tapes mostly. We love playing in the pool! We practice sight words on flash cards. We go to our local park and the beach a lot. We read a lot and play a lot! we join all the summer reading programs, this way he gets rewarded for reading! I try to keep them busy. We swim and go for nature walks. We go on nature walks and go to the library. We do worksheets and use sites like ABC Mouse and Jumpstart. We plan trips and hit the park mostly. We love to camp and fish, swim and hike. Everyday is a adventure! Try to go find new things to do, like different parks and different play dates. We go to the park by our house daily when its not raining! We read alot especially on a rainy day. We do educational crafts and games! We do light home schooling during the summer (two days a week for two hours).We also playing educational computer games and learning board games(the us state one is a hit with my oldest kids). We go to the library together at least once a week. I have a lot of learning games and my grandson loves to play games, so we play games all summer and he has workbooks he likes to work in as well. We go to the library once a week.